ahh I see. Will you be doing one for FM15 as I cant get the kits to show either. hammer,your >> See on first post !! << link is pointing to the old thread,could you change that please ? yeah but i haven't get FM15 yet! BRAZIL - Brasilerao 2014 Relink!!!! great work !!! I guess you do also the other tournaments Welsh as last year ... but anyway thanks for the pack! Hong Kong - Premier League SS'2014/15 by mayday New! 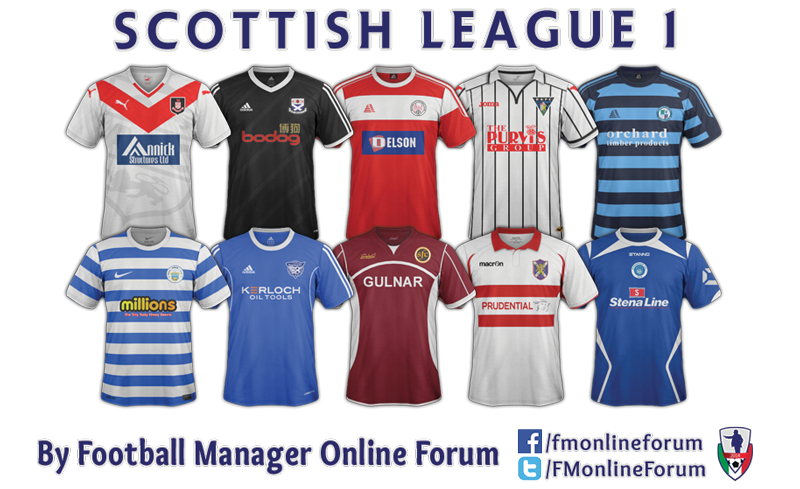 Scotland - League One SS'2014/15 by FMonline Forum New! Wales - Premier League SS'2014/15 by jj72guy New! Kazakhstan - Premier League SS'2014/15 by siborg New! Belarus - Highest League SS'2014/15 by siborg New! England - Conference Premier SS'2014/15 by FMOnline Forum Relink! Australia - Hyundai A-League SS'2014/15 by Armagedon55 Relink! SSKCC15 v1.0 for 14/15 kits on FM15 ONLY New! Hi hammer9, as a friend told in a post a while ago, your link ">> See on first post!! << " goes the the old thread, not this one. Can you tell me if the IK Start (norway pack) away kit is right? I saw this picture and it doesn´t seem right. USA - MLS SS'2014 Relink! SSKCC15 v1.2 for 14/15 kits on FM15 ONLY Relink! Belarus - First League SS'2014/15 by siborg New! Feedback, complaints, suggestions are welcome! Denmark - SuperLiga SS'2014/15 by mayday New! Later I will relink the pack with all corrections.